The Osceola County fair will be returning to Osceola Heritage Park February 8-17th, 2019! Enjoy thrilling rides, exciting contests, and fun for the whole family! 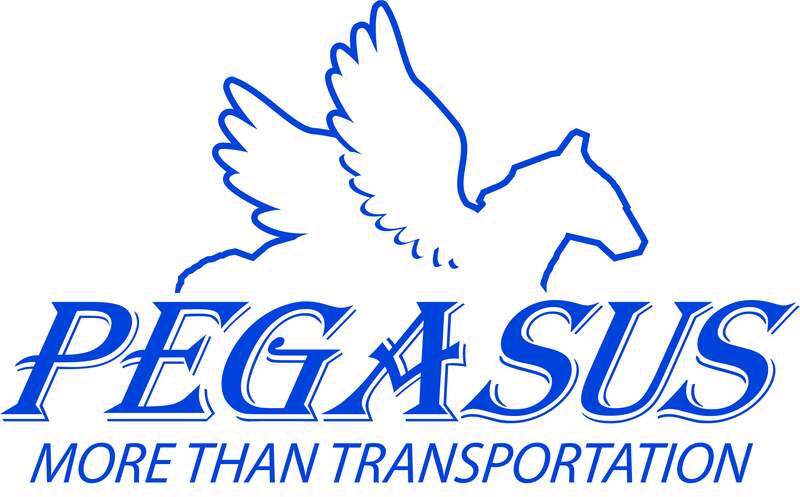 Visit the Osceola County Fair website HERE for more info! Kenny Ahern’s shows are filled with AMAZING comedy antics, HILARIOUS physical comedy and FUN audience play! Kenny has toured the planet, building a stellar reputation as a world-class family entertainer. He creates a comic world filled with spectacular artistry and heartwarming charm. No matter the age. No matter the stage. Kenny's family stage show To Laugh is to Live! is a delightful escapade for all ages! Milford Entertainment is brining for the first time to Florida this incredible combination of Trampoline-Wall and Powertrack action show. You don't want to miss it! Nine foot tall robot Max Power is a walking, talking, mobile dance party! Max loves to take photos and interact with fair guests! Accompanied by his custom built monster truck, Nitro, allows Max to stroll through the fairgrounds in grand fashion. Have your cameras ready for a photo op you won't want to miss with Max Power and Nitro! Fabulous balloon art by an engaging entertainer; Dr. Magical Balloons has been delighting crowds for years! Not only are his balloon creations amazing, not only is he a delight to see working, he creates fun lasting memories that will have people talking about how great your event is! Pricilla the Dinosaur returns this year to meet and mingle with guests! Priscilla will make numerous appearances throughout the day. 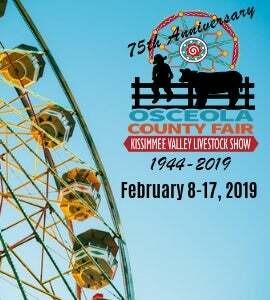 Team Sandtastic will be onsite creating a one-of-a-kind 50 ton sand sculpture for the 75th Anniversary of the Kissimmee Valley Livestock Show & Osceola County Fair. Always an Osceola County Fair Favorite, the Rosaire's Royal Racers is a family owned and operated company, performing for audiences across the nation! Featuring three different breeds of pigs at each and every 20-30 minute show throughout the day! A staple at the Osceola County Fair, come on out to pet, feed, and see all the exotic, colorful, and surprising animals inside! The H.A.Y.L.O.F.T. (Helping All Youth Learn of Farming & Technology) is an interactive, hands-on agricultural education exhibit that features numerous stations for our young guests to enjoy; from a milkable cow, farm tables, Legos, peddle tractors and everyone's favorite the OHP Derby Pony Races. Our young guests and their families get hands-on with agriculture.